Heard calling and tracked down a couple times before decent photos and recording could be obtained. Recording sounds a bit flatter than bird did in life, perhaps due to the bird being relatively loud in real time c/w recording. Upper parts green washed with brown. 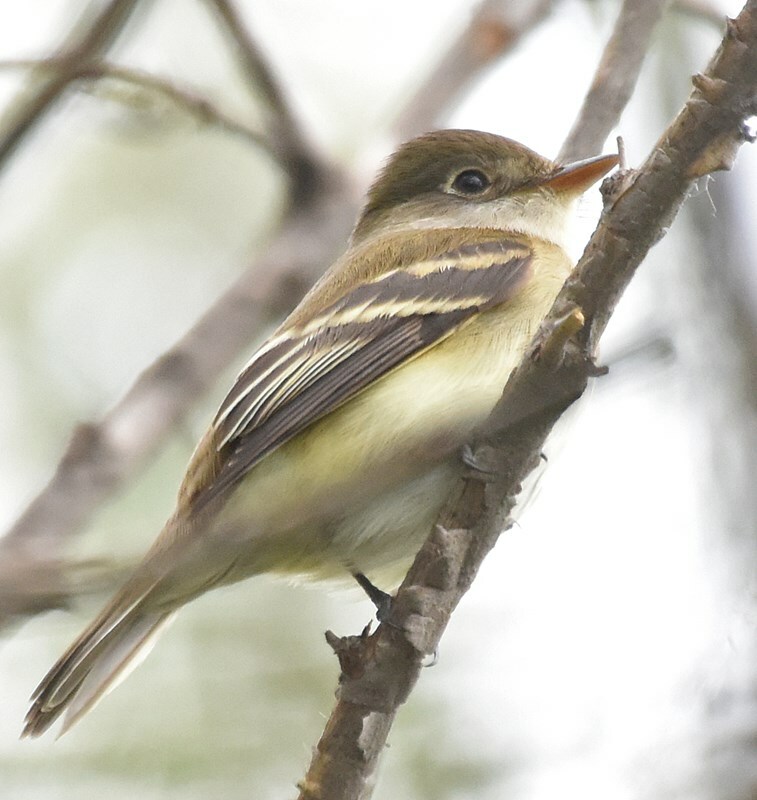 Wing-feathers blackish with broad and bright buffy edges to wing coverts (ie, wing-bars), bright white edges to tertials and greenish edging to secondaries. Auriculars green washed in gray. Very narrow white eyering. Vaguely grayish lores. Throat white, sharply contrasting with auriculars. Head somewhat rounded, never crested looking. Primary projection moderately long. 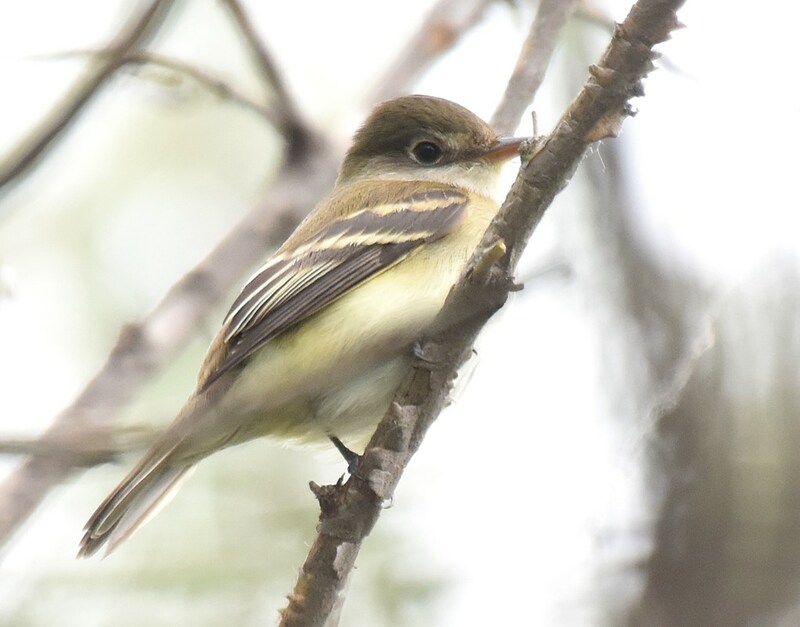 Shape otherwise simiilar to Traill's Flycatcher group as a whole, though bill on smallish side. Call a loud Pip to Peep. Call not whit give by e WIFL or w WIFL (and not assorted odd variations sometimes given by w WIFL) and typical of ALFL in my experience. Sounded much like iBirdPro recording of ALFL call, which I played at bird, unsucceessfully trying to lure it closer.